When one needs to improve the performance and speed of their data-driven web applications, the first thing to do is having a proper caching system. The first two names that come to the mind instantly are Memcached and Redis. These are distributed caching system used to boost the speed of database-driven websites. They cache the data and objects in the RAM so that they are easily accessible as opposed to going to external data sources like database or API to retrieve data. To choose between these two data engines, one has to know the differences to pick the right one for their web applications. Before going into the difference, the similarities should be clear so that the similar parameters should not be considered as a deciding factor. Both of them serve as in-memory and key-value data structure stores. They use NoSQL data management solutions, and they keep data in the RAM for easy and fast fetching. Both are lightning fast in their speed performance. They have similar throughput and latency properties. 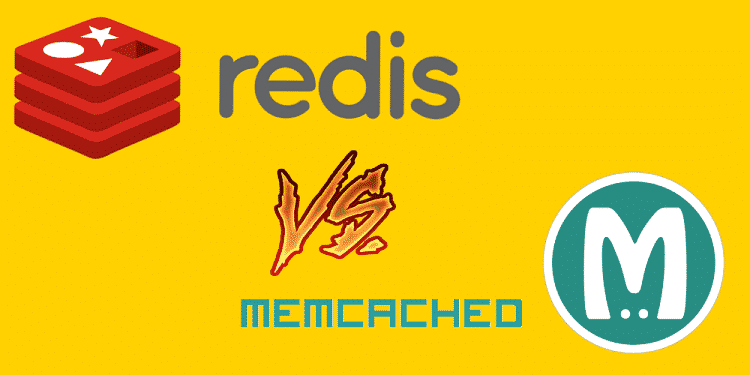 Memcached hit the market earlier in 2003 while Redis was introduced in 2009. Redis is actually developed to overcome all the shortcomings on Memcached and yet, maintaining all the features Memcached is popular for. In fact, Redis has a few additional features and is considered to be more powerful and useful than Memcached. Read-Write Speed – The read-write speed determines the overall speed in data management. Both the engines have extremely high speed as you would expect but as per benchmarking, Redis edges over Memcached slightly. But when it comes to handling high traffic websites that are database driven, Memcached clearly outperforms Redis, and the response is fast by far. Storage – Memcached stores data in its memory directly and retrieves them when required directly from its memory rather than visiting the source database. But Redis itself is a database that is residing in its memory. It has the same mechanism as a database like key-value pair for storing and retrieving data. Redis is perfect if you need real-time metrics and analytics. Data Structure – Memcached uses only string and integer to store data in its memory. The integers allow only addition and subtraction data manipulation. There is no scope for arrays, objects, and other widely used data structures. Saving them is hectic, and it makes the process slow. Redis takes care of the problem and has data structures like binary safe strings, list, set, sorted set along with string an integer. Replication – Replication is a big factor in any data storage system. Unfortunately, Memcached does not support it, and there has been no improvement on that front. Memcached is continuously putting effort to optimize the system to increase speed but not adding any new features. Redis, on the other hand, supports master-slave replication. The slave servers can have an exact copy of master servers. Therefore, in case of a system failure, the application will not be affected. Persistence – Persistence is another big deciding factor in any data storage system. It is a must-have feature, but Memcached does not have an improved system. In Redis, the data gets synced every two seconds, and there are various options available for controlling the data persistence. This means even when there is an accidental failure in the application and unplanned shutdown, the data are retrievable. In Memcached, it will be lost instantly. In a cache system, you would not expect data persistence but the fact that Redis does have it and you can turn it on and off as per your requirement, it makes it score over Memcached. Pipelining – Pipelining is the main reason why Memcached is efficient in handling high traffic websites. Memcached also has multi-threading option for attending to multiple requests in parallel. Redis has an underdeveloped pipelining system, and it needs to improve significantly to catch up with Memcached. On the contrary, Redis provides a constraint limit 512MB to handle large data in comparison to Memcached whose constraint limit is merely 1MB. It is one of the major reasons behind the popularity of Redis in today’s scenario especially when you need to store the entire page in a cache. Redis is a perfect caching solution for web applications like online stores, IoT applications, and real-time analytics. Redis can boost the page loading time for e-commerce solutions due to its full page cache mechanism. You can even store sessions. IoT applications send a lot of data every minute to the web server, and these data can be pushed to Redis for processing before transferring to a permanent storage. You can use Memcached for its simplicity, better efficiency in handling high traffic, and efficient memory management for rather lightweight database-driven web applications. But in reality, Redis is superior, and Memcached is a subset of Redis.